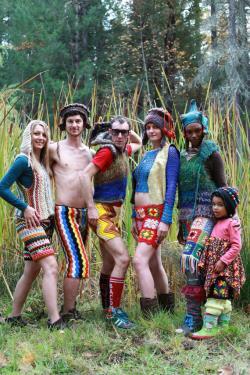 These funky crochet shorts are loads of fun made from 100% recycled materials: a vintage afghan blanket crocheted in the 70s-80s, and finished with a drawstring waist. 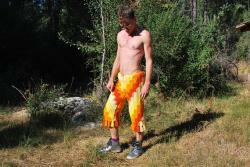 Great for the playa, northern soul nights, disco parties, or just wearing every day these one-of-a-kind pants can easily be worn by a man or a woman, great for burning man, after the slopes, or for morning yoga in the winter. Please include waist size, general style (long or short shorts) and any ideas you have about color or pattern. Otherwise i will send a general medium size shorts in whatever color/pattern i have available. The shorts pictured are general examples, however no two pairs of shorts are exactly the same. Thanks for checking me out and happy lounging.